Click images or arrows to see more pictures. *You're saving $40.00 by purchasing a pair! The new HCR3 Rechargeable Hearing Aid raises the bar for quality, affordable hearing aids by combining the best features from our top 2 selling products. By uniting the power of the HCX with the rechargeable convenience of the HCR2, the HCR3 provides a power-packed, hassle-free hearing experience for a reasonable price. With its upgraded processing chip, the HCR3 includes new and improved features, such as onboard noise cancellation, feedback reduction, 4 programmable memory settings, and volume control. 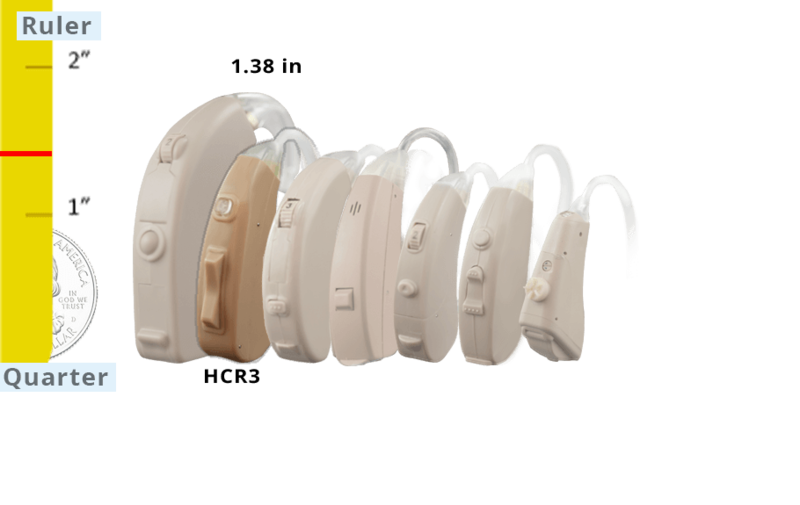 Through digital sound processing technology, these hearing aids also accommodate a wide range of hearing loss levels, from those with noticeable to severe hearing loss (with the addition of a power upgrade). Like the prior HCR2, the HCR3 is discreet but offers an enhanced hearing experience by delivering higher volume as needed. If you struggle to hear in environments with prevalent background noise, like a restaurant or place of worship, the HCR3 is for you. By bridging the gap between quality, natural sound with superb value and convenience, the HCR3 makes hearing simpler and life easier. Plus, as a rechargeable hearing aid, replacement batteries are no longer a concern. Using the Universal Micro-USB charging port, charge the HCR3 for 2 hours and wear it for up to 16 hours. 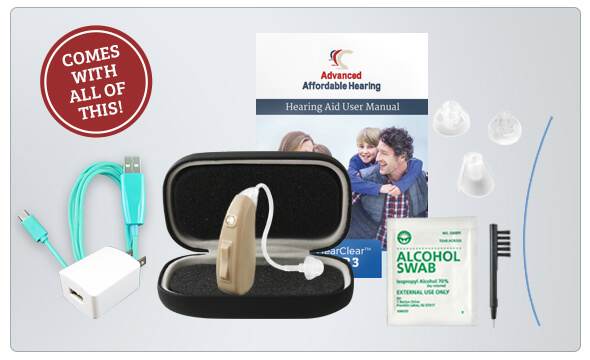 Users can also save battery life by shutting down the hearing aid using the simple ON/OFF button. Included in the box are the charger, thin tubing for boosting the higher range of frequency, and a variety of tips on finding the perfect size for your comfort. 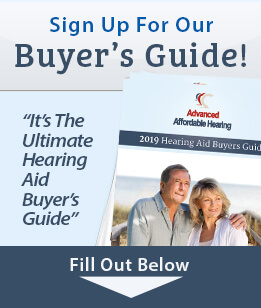 If you want a cheap hearing aid that’s effective and easy to use, the HearClear HCR3 utilizes modern technology to give your hearing the boost it needs. Warranty Included: 6 Month Limited Warranty and 30 Day Money Back Guarantee – Risk Free! This adds an ear-hook and thicker tubing to provide you with increased sound output.